Triathlon Long Distance European Champioship will take place again in Almere (Amsterdam, Holland) next week. 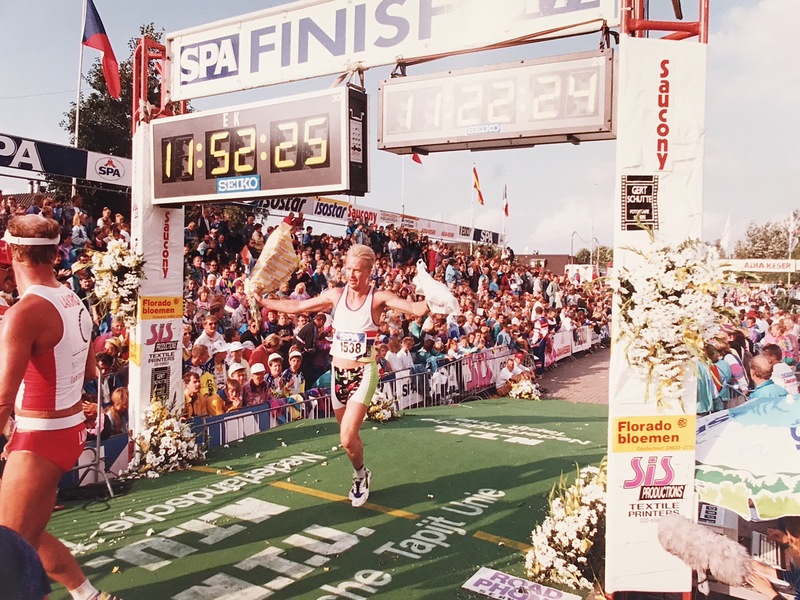 Let's hope the weather will be less stormy than on 17th August 1991, when I took part in this Europe's oldest 'ironman'-distance race. The whole week had been calm and sunny. The course was advertised as fast and flat. I was ready to set a new PR in under ten hours. The race morning appeared stormy as hell. The waves in the sea looked like big hills. The 3800-meter swim was a blurred struggle for survival. On the 180-km bike course the wind blew gravel on the wet roads. Both of my tubular tires were punctured. I carried two spare tubes, which I managed to install with cold hands. On the last lap both of my spare tires blew off as well. I had to cycle the last 40km with an empty back tube and the last 20km with a flat front tire as well. They were right, 'flat' described the course well. The rain stopped during the run, but it was still windy. I ran a great marathon, finishing in 11 hours and change. It wasn't a new PR, but it was certainly a strong performance I could feel proud of forever. Today I checked the website of Challenge Almere. They have all the old results online, so I searched for my name from the 1991 list. It wasn't there! Nothing about my lifetime achievement. 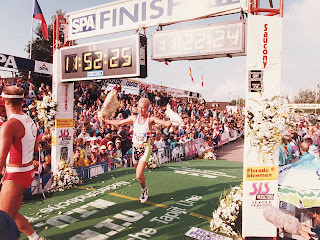 I had always assumed I was a finisher, but I had never actually checked the results before. I have absolutely no idea why my result was omitted 26 years ago. A philosophical question: Did I really finish, or was it just a dream?